The Centro Espanol Club was built in 1912 to serve as a clubhouse for the areas many Spanish immigrants, some coming directly from Spain and other via Cuba. 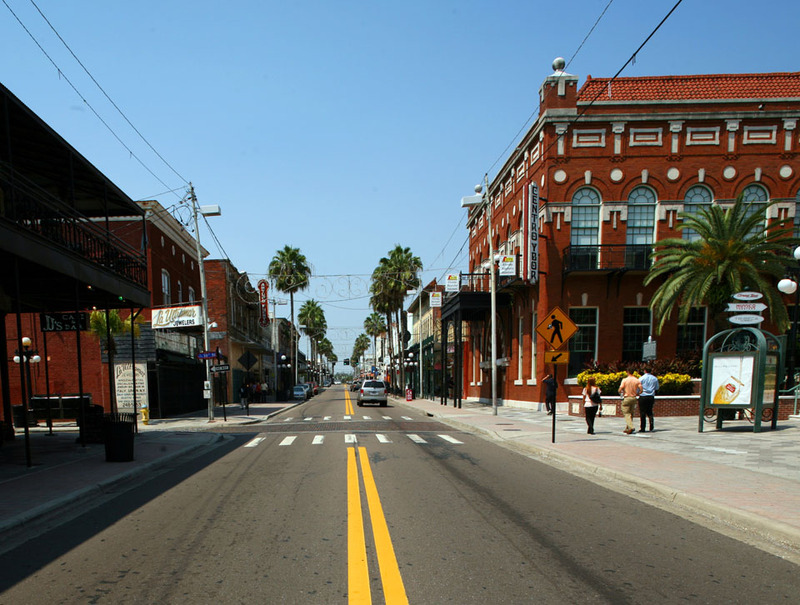 Today, the building is part of the Centro Ybor complex. 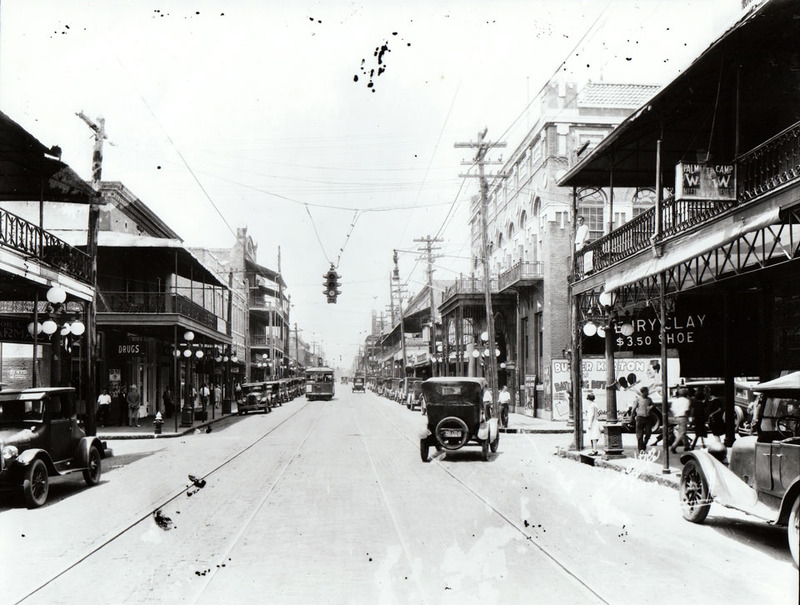 Notice the streetcar in the historic photo heading east on 7th Avenue. Ah, the good ol’ days… Before the 711. However, there’s a sign for Carne Chop House instead of a Centro Ybor sign now.